Hate eating Italian food because of all the carbs? 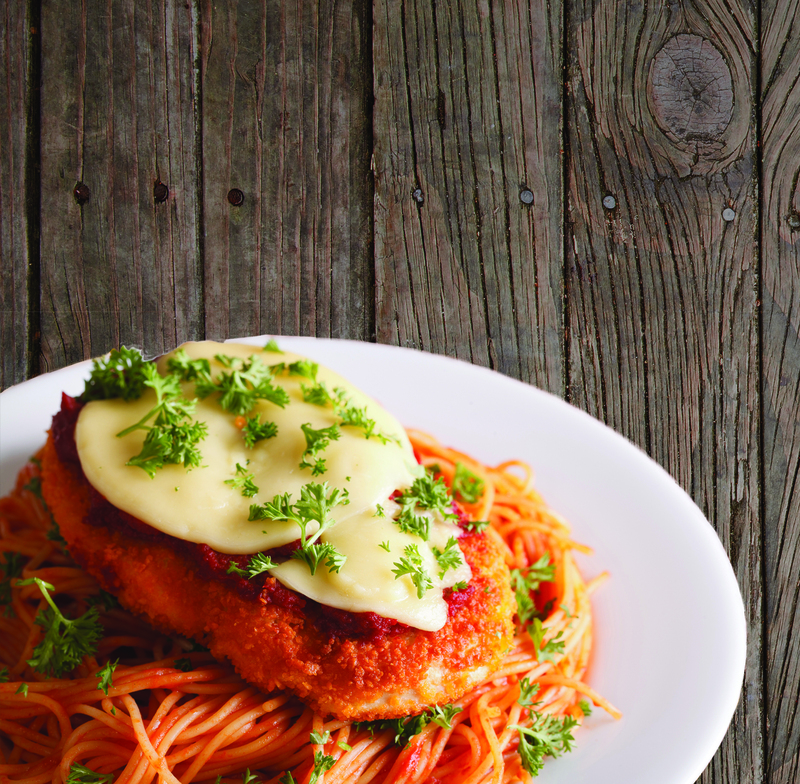 Look no further with this delicious nut and seed-crusted chicken parmesan! It’s good for you, so you don’t have to worry about feeling guilty for eating all of it! In a wide shallow bowl, combine flour, Parmesan and chia. In a second wide shallow bowl, beat eggs. Pat chicken into flour mixture to coat; shake off excess. Dip into egg, then press back into flour mixture to coat. Discard any remaining flour and egg mixture. In a large nonstick skillet on medium high, heat one tsp oil. Add chicken and cook for four to five minutes, turning once, until golden brown. Arrange chicken in a single layer on a large, foil-lined baking sheet. In overlapping layers, top each piece of chicken with sliced tomato and one slice mozzarella. Bake until cheese melts and chicken is no longer pink inside, eight to ten minutes. Top with parsley and serve over pasta or spaghetti squash. Next story Could my child (or could I) have ADHD?